A few weeks ago I attended a training put on by Postpartum Support International. If you are not familiar with the organization, please check out their website. They are a great resource for families. The purpose of Postpartum Support International is “to increase awareness among public and professional communities about the emotional changes that women experience during pregnancy and postpartum”. The mission is to “promote awareness, prevention and treatment of mental health issues related to childbearing in every country worldwide”. Through the website you can learn about perinatal mood or anxiety disorders, find resources and connect with someone local. One of the trainers was Dr. Christina Hibbert. She is a psychologist and mom of 6. She is the author of This is How We Grow: A Psychologist’s Memoir of Loss, Motherhood, and Discovering Self-Worth and Joy, One Season at at Time and most recently Who am I without You? 52 Ways to Rebuild Self-Esteem After a Breakup. On May 18th, her radio show “Motherhood” on WebTalkRadio.net will air. I was excited to meet her as I have been following her blog for awhile. One of the things that I love about following Dr. Hibbert’s blog is that she talks about self-care, clearly one my favorite topics and also stresses the importance of it. Something that was talked about in the training as well. She shared with me some of her favorite forms of self-care are alone time, exercise, making sure she gets enough sleep, naps and dark chocolate. All of my favorite forms of self-care. I shared that I keep a bar in of dark chocolate in the freezer. It was a hard day when the kids realized it was there! Dr. Christina Hibbert also gave me permission to share one of her blog posts “Motherhood 101: 12 Realities & 12 Lessons from a Seasoned Psychologist & Mom of 6“. Here are her first three realities and lessons of motherhood that she has learned in her 18 years of parenting 6 kids. Lesson #1: Recognize that it is hard. Reality #2 Hormones, brain chemistry and life experiences can make it even harder. Lesson #2 Understand all you can about your own emotional health and take care of yourself. Reality #3 You won’t love every moment, and you won’t feel happy all the time. Lesson #3: Look for joy in the moments. Good, right? Those are only the first 3. You can read all of them on her actual post. What lessons of motherhood have you learned? I know motherhood has taught me a lot. It has taught me about myself, but also my marriage and friendships. A reality for me is that motherhood is HARD, way harder then I thought. But it can bring joy that I could not have even imagined too. I have learned I am way better at being a mom if I take care of myself. I am a calmer and more present parent, which is very important to me. What lessons have you learned from motherhood? We would love to hear. This entry was posted in happiness, parents, self care and tagged #happinesschallenge, #intentional living, 30 day challenge, happiness, mommy self care, self care. Last year, I shared that I started writing letters to my kids for Mother’s Day. Last night, I sat down and wrote my letters to my kids. I shared about the changes over the past year, what they love now, our joys and our little family traditions. On Mother’s Day I will sit down with them and read them the letters. This will continue to be a special part of Mother’s Day for me as a mom. Mother’s Day is a day to celebrate my own mom as well. She has done and continues to do so much for me, as does my own mother-in-law. I have been blessed to have such supportive women in my life. My hope for this Mother’s Day is that all moms get remembered. I want to acknowledge that this day is not only for the mother’s who get to be with their kids, but for all those who do not, those who long to be a mother, those who have also had the important role of being a motherly figure to someone and those who miss their moms. Every type of mother is important and deserves to have that remembered. For all the moms who are excited that they finally get a day to be maybe relax, many are wishing that this day would be over. So, your happiness challenge for today is to remember all mothers and those who are missing their mother’s. Send positive thoughts/prayer or reach out to a mother or friend. You can make the difference in someone’s day today. This entry was posted in happiness, parents and tagged #happinesschallenge, #intentional living, mommy, mommy blog, self care. 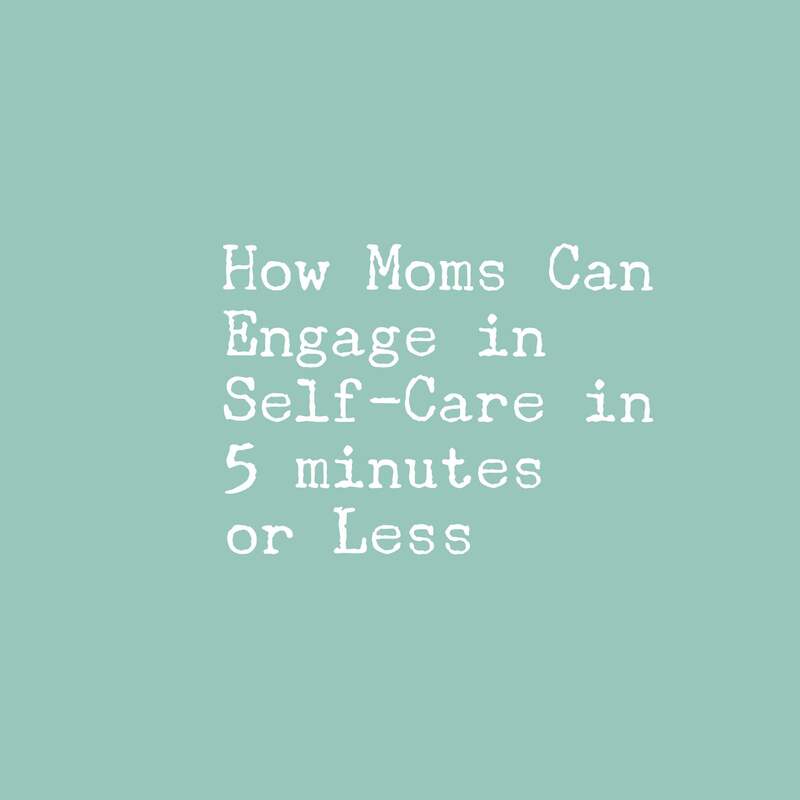 How to make time for yourself as a mom. I know it seems impossible to some but I promise that you can and it is needed. If you have been following my happiness challenge (day 1 and day 2), then you already know that I haven’t actually asked you to take more than 5 minutes for yourself. See, I believe before someone jumps in to taking an hour a day for something like working out, you need to really understand that YOU deserve this time and it is essential. To begin this process, it often starts with the thinking. Changing your thinking about both that there is time and that you are worthy to have time for yourself needs to happen. If you do not believe that there is time for even 5 minutes, then please do happiness challenge day 4. A few minutes here and there can really add up. Happiness challenge 4 is to take real notice of all your time. Be mindful and think about what you do all day and really notice where you “waste” time. The best example of this is phone use. If you go on your phone a lot or not, I am not judging I promise and I am right there with you, but that is an example of time that could be used doing something else. Even going on for a few minutes, that time could be used for something that will help your stress instead of just “checking out” (as I refer to it, you know when you just scroll and scroll) on social media. Even with just a few minutes while the kids are watching a show or playing nicely, you could use that time for something else such as reading a page or 2 in your book, stretching or doing a deep breathing exercise. Self-care is about finding things that are going to help you de-stress or become more centered. Happiness Challenge for day 5 is do make sure you do something for yourself even if just 5 minutes. You can do it. If you haven’t found the time yet, just don’t do something else. Skip the dishes, late night pick up or give up the tv for a bit. Anything that can get you that 5 minutes. I want to hear how you are doing so make sure you stop by on social media and use #mommyselfcare. Are you new to the happiness challenge? You can read more about it here and here. This information is for educational and informational purposes only and does not replace mental health therapy. If you need services, please find a local therapist. This entry was posted in happiness, parents, self care and tagged #happinesschallenge, #mommy's, #selfcare, mommy self care. As you know, change is really really hard. We all know things we should do, but the follow through is the difficult part. I will tell you what I have learned in my very few years of parenthood (my kids are 3 and 4, I have a ton of learning to do), but I have been a therapist for a lot longer and know thinking negatively about yourself is not helpful. It stops us from making changes when we think we are not good enough, we could never do something or are fearful of being judged. 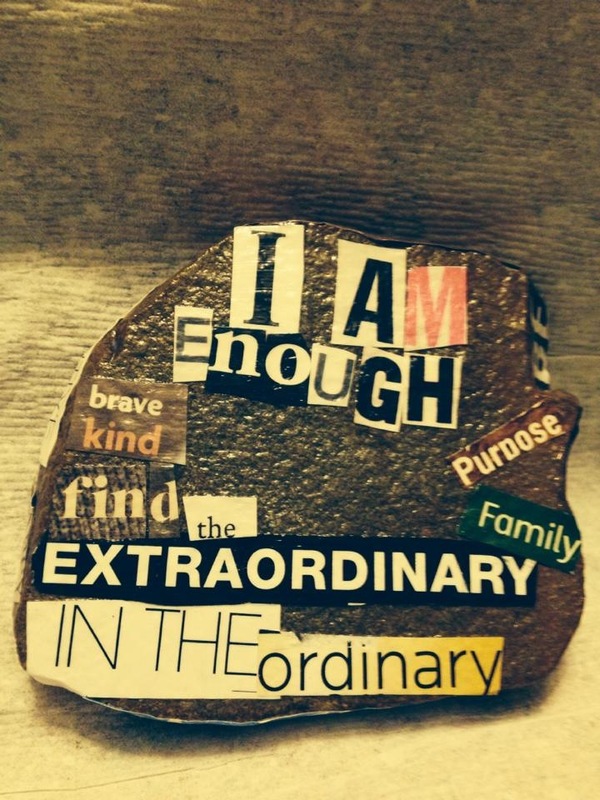 Changing my thinking to knowing I am enough as I am (thank you Brene’ Brown), I learned to relax, let stuff go and focused on what really mattered. When I focused on all I didn’t know about parenting or felt like a horrible mother because “he still doesn’t sleep through the night” and somehow I related that to my own worth as a mother, I was left in a lonely shameful place. When we think negatively, it is easy to focus on the negative and much harder to see the positives or accept them. Often they are followed up with a “ya but”. Getting rid of negative thinking is a must. To do that, first understand that the negative thoughts in your head are just thoughts and simply are NOT true. 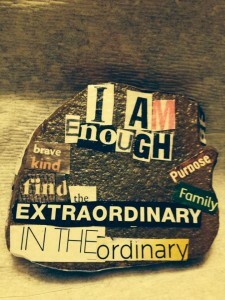 I am here to tell you that not only are you ENOUGH, you are amazing! You are an amazing mom. Does anyone tell you that? If they do, keep them around! If not, please tell yourself that you are an amazing mom. 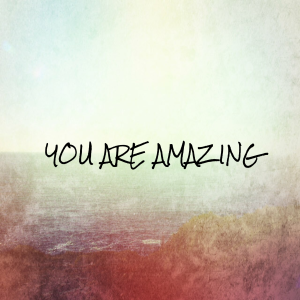 Whether you have the cleanest house in the neighborhood or the messiest you are truly amazing. 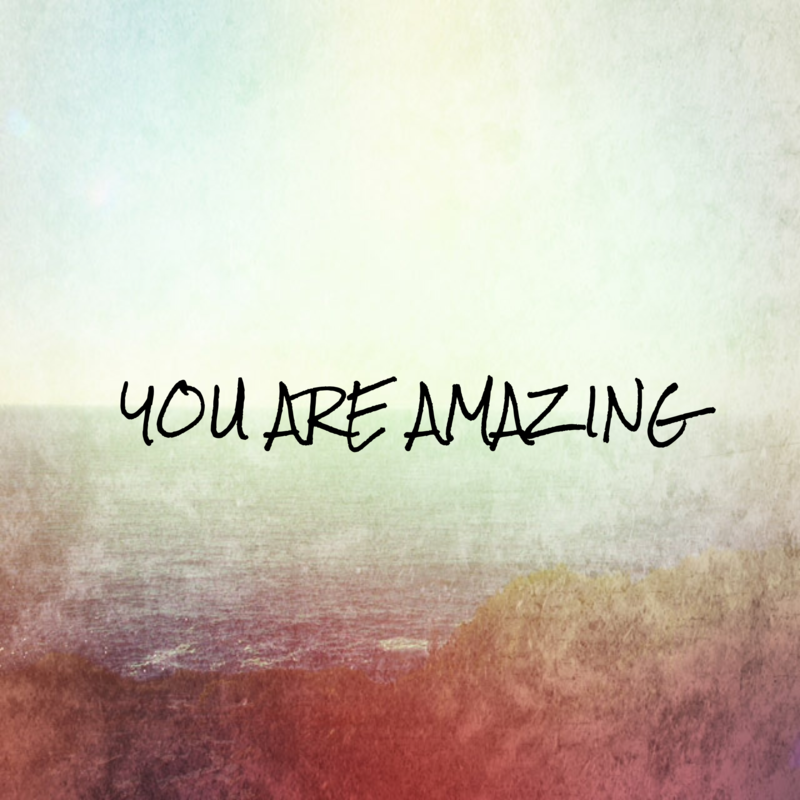 Whether you never go on facebook or use it as your “check out time” you are truly amazing. Please know this and believe this about yourself. We are often our own worst enemies and say so many negative things to ourselves everyday. Everybody has bad days and bad moments. Forgiving yourself and letting go is essential. You do not need to be perfect. No one is perfect. The person you are comparing yourself to does not exist. So, for the mommy happiness challenge day 2, I want to hear how amazing you are. I want to hear all the positive things you do as a mom. This can be really uncomfortable but identifying the positives can help to refocus on what you do so well instead of what you coulda, woulda, shoulda. Please share and encourage others. When you focus on all you do that is right, positive and amazing, it begins to change your thinking about yourself as a mother and a person. Also, when you are in a positive place, you tend to worry less what others think. So don’t be shy and share away! Get creative with this list. I intend on doing it again and put my list on a journal. I have also done this list and cut out sayings which I then modge podge to a rock. I keep this rock in my office. Not the best picture but you can see it below. Please share your list and use the #mommyselfcare. This entry was posted in happiness, self care and tagged #happinesschallenge, #intentional living, 30 day challenge, mommy, self care. 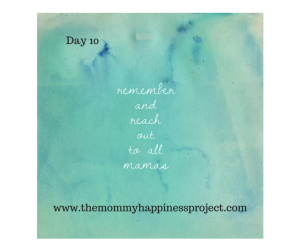 It is day one of your Mommy Happiness Challenge! I hope you have been thinking about what your challenge could look like for you. Before I had kids, I knew exactly the type of mother I was going to be. I thought I was prepared and would know how to parent. Well, then I had kids and that all went out the window. I often talk about how I was in survival mode and I believe that was okay, up until a certain point. I wanted my experience to change. I was struggling with being anxious, prioritizing, letting go of my expectation of what parenting actually was and the expectations of the roles that I had set up for myself. Since parenting was not what I thought it would be, I had to reevaluate what type of mother I wanted to be. But first I had to figure out who I was as a mother. Do you know what type of mother you want to be? I want to be a calm fully present mother. I knew I wanted to be fully present with my kids, meaning I wanted to not be distracted in my thoughts about other things (such as work, relationships, or annoying housework) when we were together and I wanted to be calm (and not become visibly frustrated) over behaviors. For these things to occur, I knew I needed to work on myself. To be present I began using my tools of mindfulness and meditation much more frequently. I changed my thinking as well. To be calmer, I began eating healthier and working out as it helped me deal with stress much better. Doing those things, allowed me to find other forms of self-care too such as writing, doing crafts, reading (even parenting books) and making more time for my relationship. First find a time when you can be alone in silence. Sit for a minute or two and just breathe. Let the stresses go and focus on your breath. Then for 1 minute write down all the things that you do that bring happiness and joy. To work on being happier, first you need to know what brings your happiness. Keep that list close. Those are some of the things to focus on over the next 31 days. I would love to see your list. Remember to use the hashtag #mommyselfcare and show your list. Also sign up for my newsletter if you want more information on self-care. If you missed what this challenge is all about check out this post and this post. I also have several ideas for self-care in 5 minutes to check out if you need some inspiration. Please note that this information is for informational and educational purposes only. Please note that this article, blog or challenge does not replace mental health therapy. If you are in need of services, please find a local therapist. This entry was posted in happiness, parents, self care and tagged #happinesschallenge, #intentional living, 30 day challenge, mommy blog, mommy happiness, mommy self care, self care. Our 31 Day Mommy Happiness Challenge is soon approaching and I am curious, are you in? Are you at a point where you feel like something needs to change? 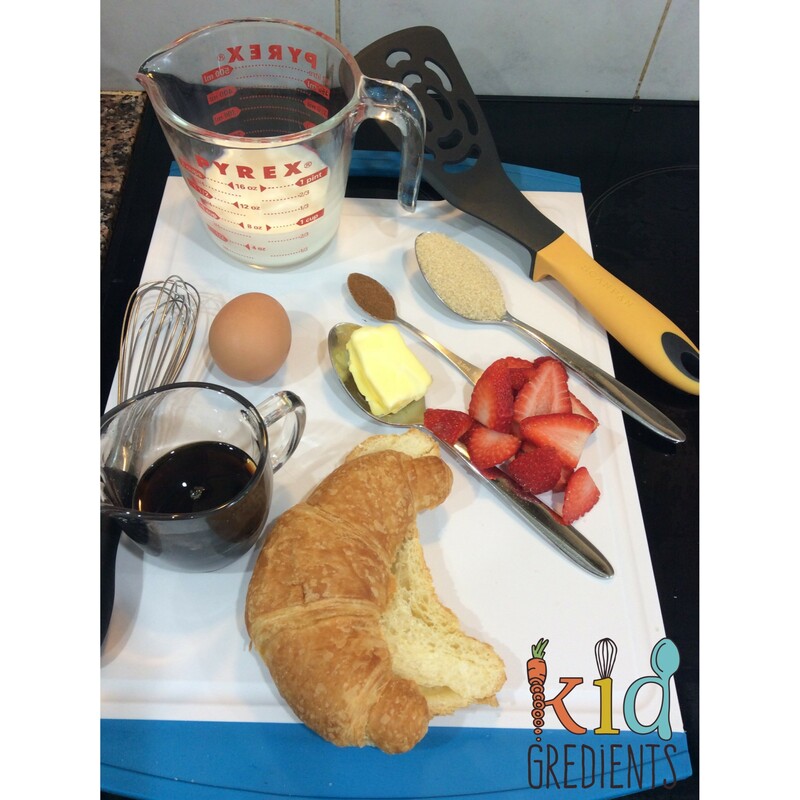 Are you thinking something could be different? Are you afraid to admit you do not love all moments of parenting or maybe you can admit it, but just laugh it off, while deep down you are really struggling. Maybe you have been wondering, what is MY thing? Maybe none of those are questions you have been struggling with but if not taking anytime for yourself is something that is occurring, why not take part on this challenge? Motherhood is all about caretaking 24-7. When we care-take, there is only so much you can give until you have no more to give. My guess is that your kids are not the only ones you care take for too. I am here to challenge the belief that taking time for oneself is selfish. How could a mom take time for herself when she has young ones at home, there is just no time right? This is not true. It is necessary to find time. This challenge is about finding something, even if only 5 minutes, that help “fill” you up, so that you can continue to care give. Remember, you are the only one that can give your kids a happy mother. Want to know what you can expect from this happiness challenge? I am here to answer all your questions. But lets first start with what is happiness? There are lots of definitions about happiness. It is something that is studied and often can mean different things to different people. I define happiness is an emotional state of well-being that occurs when you learn to let go, accept, become vulnerable and have gratitude. To become happy, one must begin to take care of oneself emotionally, physically and spiritually. With taking time for self-care, the gift of self-worth and true happiness can occur. To me, happiness it not about walking around with a smile on my face all day long laughing. Although that sounds fantastic, it often is not realistic. See, the things that stop us from true happiness are often in our control. We have the power to let go, accept, become vulnerable and be grateful. Letting go: Is there something that you are struggling with letting go. Would you feel more free if you did not let it influence or control your life? Accept: What in your life do you need to accept? Do you need to accept a relationship, situation, or something from the past? Acceptance can create a sense of peace. Become vulnerable: When we let others see who we really are, we become vulnerable but it can create a true intimacy and connection with those you love. Gratitude: Practicing gratitude is a simple practice to begin that can create happiness. Being thankful for what we have instead of focusing on wants is very powerful. I believe, when someone begins to take time for themselves emotionally, physically and spiritually it becomes easier and more natural to let go, accept, become vulnerable and be more grateful. Are you willing to try? Some of your challenges will be only a few minutes, while I challenge you to take more time if you are able. Challenges will include those related to taking care of yourself emotionally, physically and spiritually. Want an early start, make a list of all the things that make you happy. 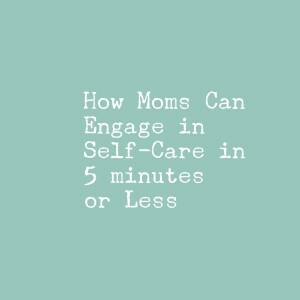 Make sure to connect with me on social media and use the #mommyselfcare. Please note that this article, blog or challenge does not replace mental health therapy. If you are in need of services, please find a local therapist. This entry was posted in happiness, self care and tagged #happinesschallenge, 30 day challenge, happiness, happy, mommy self care, self care. When you are a therapist, the topic of self-care comes up frequently. It is taught in school and it is something that is talked about in your career because of the work that you do. I can only image that this is also talked about in any helping profession. When I needed a change in my life, it was only natural for me to revisit my self-care. Before having kids, my self-care looked very different. I could rejuvenate on the weekends. I would go out with friends, sleep in, take naps, connect with nature through hiking and vacations. When I had kids, that all changed. My form of self-care had to drastically change. There was no more sleeping in, let alone sleeping! Having my kids 15 months apart left me in survival mode for the first few months. That is okay. I needed that. I had to prioritize things and honestly, I just wanted to cuddle with my babies. But as time went on, I knew something had to change. I was tired and I felt like I was not the mom I wanted to be. I knew I needed to change my way of practicing self-care. It all started that when my husband came home from work, I would take 5 minutes to myself. 5 minutes is really all I could take as dinner was about to be served or the kids needed baths. But it was enough that would help me be grounded again. Sometimes I would waste the 5 minutes on social media but I found that I was much more centered if I just sat in silence. I needed silence. I had 2 toddlers. Since that time, I have made a lot of changes and do not actually need my 5 minutes when my husband comes home, well most days. But I truly believe in the concept of only needing 5 minutes to have self-care. In this post I gave a variety of suggestions that you can try out. My question to you is why not? If other forms of self-care seem to overwhelming such as going to the gym for an hour with 3 kids, why not try a mediation, deep breathing, reading a positive quote, writing a gratitude list? 5 minutes can change your life. In those 5 minutes you can calm down, regroup and remember that in the end the things we are worrying about now don’t really matter. Spilled milk is really something not to stress over. On May 1st I am beginning my mommy happiness 31 day challenge. It is all about taking time for you! As caregivers to your family it is essential that you find things that help you refill yourself to be able to continue to give to others. It is essential. The gift of self-care has given me the ability let things go more easily, having grace on the things I messed up on, knowing I am enough and happiness. I am a better wife and mom. I would love for you to join me this May in making time for yourself a priority, at least 5 minutes a day. Over the next month, I will post challenges on Facebook and Instagram. Sign up for my newsletter so you do not miss a thing as well. I can’t wait to take this journey with you. Are you in? Please note that this article does not replace mental health therapy. If you are in need of services, please find a local therapist. 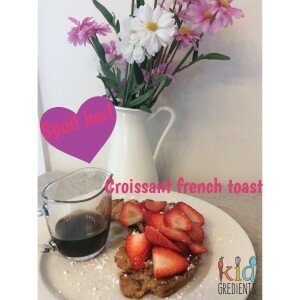 This entry was posted in happiness, self care and tagged #selfcare, kids, mommy, mommy blog, mommy happiness, mommy self care.